A fishing charter for the whole family! 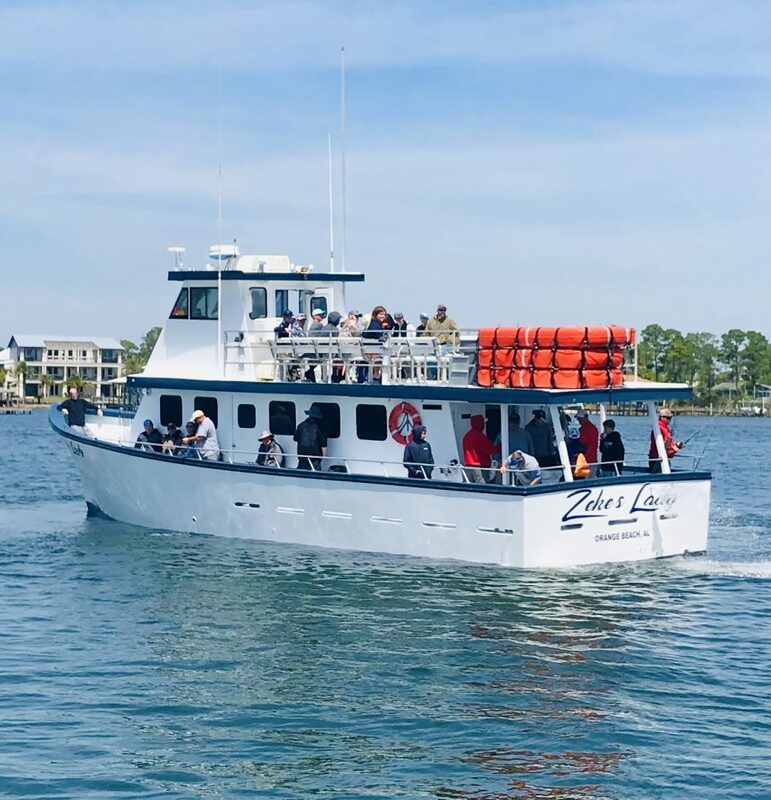 Zeke’s Lady is a newly rebuilt 58-foot party boat that is available for daily walk-on trips (4-6 hours), private trips (up to 8 hours) and cruises. We fish primary offshore south of the beach on the Gulf of Mexico. We specialized in bottom fishing targeting the larger fish. Red snapper, grouper, amberjack, triggerfish, vermilion snapper, white snapper, lane snapper and king mackerel are typically caught offshore bottom-fishing. Everything needed for a guaranteed good time is provided. 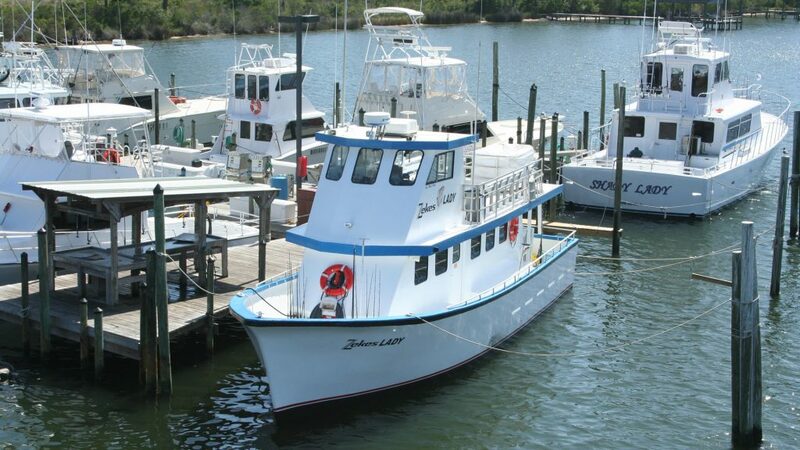 That includes, bait, tackle, rods and reels, and fishing licenses, all on the best shared charter in Orange Beach. Our informative and helpful assistants in the charter office will provide departure and return times for your charter. Food and beverages are not provided by the boat. However, our Dock Store does carry drinks and sandwiches along with other snack items. Please do not bring glass bottles on your charter. Costs not included in the initial charter price are fish cleaning (30 cents per pound), customary deckhand tip (18%-20% of the charter) and a fuel surcharge on certain trips. Rubber-soled shoes are beneficial for fishing. Walk-on trips are available – A walk-on charter is a fishing trip that is perfect for one to three people not wanting to rent an entire boat. A fixed price is charged per person. 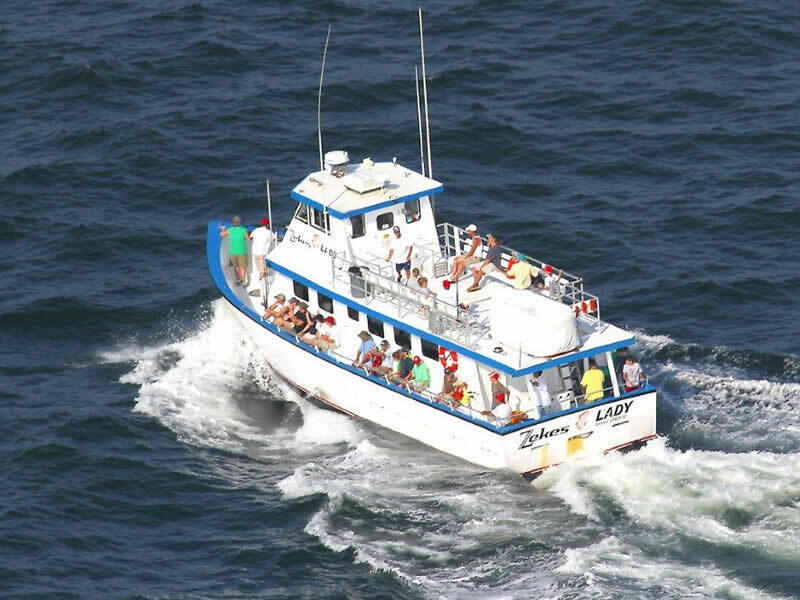 Walk-on charters are typically run on offshore charter boats. A private charter is a fishing trip in which one group charters a boat, a captain and a crew for a given period of time. These trips are exclusive and perfect for businesses looking for a team-building experience or simply a relaxing day away from the stresses of the office. Only the Captain can cancel the trip for weather. He/she will do so the morning of the scheduled trip. You have until 3:00pm the day before your scheduled trip to change or cancel your reservation at no charge to you. Trips that don’t meet the minimum number of passengers will be cancelled.